Flooded with to-die-for pieces of clothing that are also comfy and cozy, J.Crew‘s winter 2015 lookbook is finally available on the brand’s website. 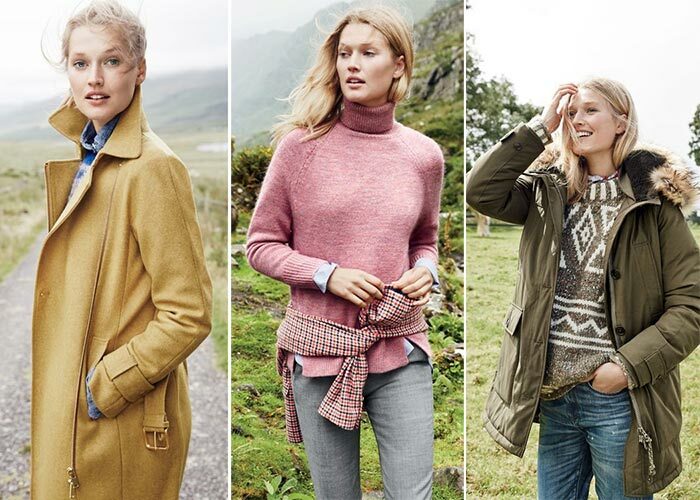 J.Crew’s new style guide pictures a country chic Toni Garrn wearing an assortment of cozy and stylish sweaters, as well as peacoats, slim-fit pants and parkas. Made in New York, where the company’s designers bring its pieces to life, this winter 2015 collection originally interprets the year’s boho trend, injecting a more country chic attitude into the designs rather than using conventional urban chic sources of inspiration as many brands do now. J.Crew’s ideal winter line takes the 23-year-old German model to the breathtaking Irish countryside, the earthy colors and famous jagged shorelines of which perfectly resemble the collection’s main theme. First things first, it is interesting to notice how carefully J.Crew designer team has focused on cable-knit sweaters. Mainly made of cashmere or wool (which is kind of rare, nowadays), J.Crew’s sweater line-up includes turtleneck sweaters with rib trim, crewneck sweaters and stripe pieces, the designs and colors used for which will make any winter enthusiast extremely happy. Regent and Rhodes blazers in puppytooth are other good warm alternatives included in the collection if you are looking for 100% wool or cashmere pieces of clothing. Each one of these sweaters and blazers seems to be perfect for pairing with J.Crew’s slim-fit denim pants, as well as with the bell-bottom jeans with iconic cuts bringing back the Seventies and looking absolutely dazzling with chunky ankle boots. For those who would rather not buy another pair of jeans, J.Crew offers casual-chic suede patio pants that will look good with almost any pair of shoes. The all-American company made it also possible to keep the country chic theme with some delicate tweed mini-skirts, which graciously create a stylish contrast with the cable-knit sweaters. As for the coats, get ready for another set of timeless must-haves. 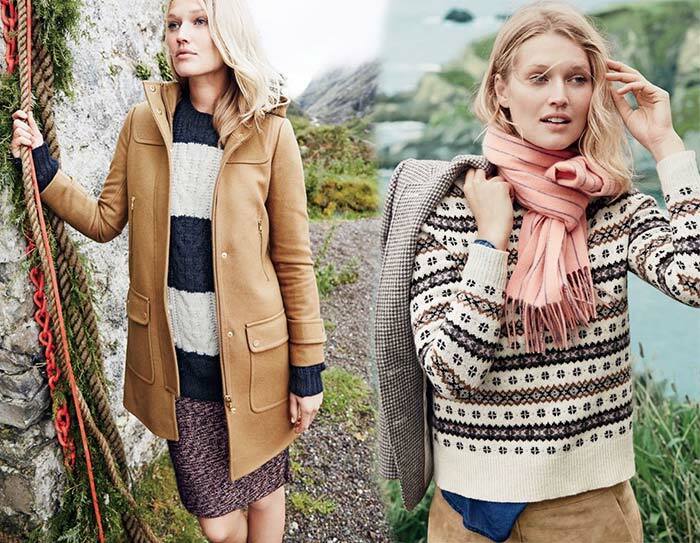 From duffle coats to belted zip trench coats, from peacoats in Hamilton plaid to Nordic parkas, J.Crew definitely has it all, making it possible for us to invest in a cozy and fashionable outerwear. The lookbook works also as an extremely useful source of inspiration if you are looking for one-of-a-kind Christmas presents. It features warm pinstripe cashmere scarves and stylish popover shirts that could make anyone happy. Regarding this, just remember that Black Friday is coming next week, which means that Christmas shopping season is finally beginning!